Sometimes it's fun to look at what might have been - canceled projects can lend an insight into the avenues a company is even willing to explore in the first place, even if they never wound up going that direction. Such is the case with the Star Wars Story standalone film that Josh Trank was due to direct at Lucasfilm before Trank and the production company from a galaxy far, far away split ways. 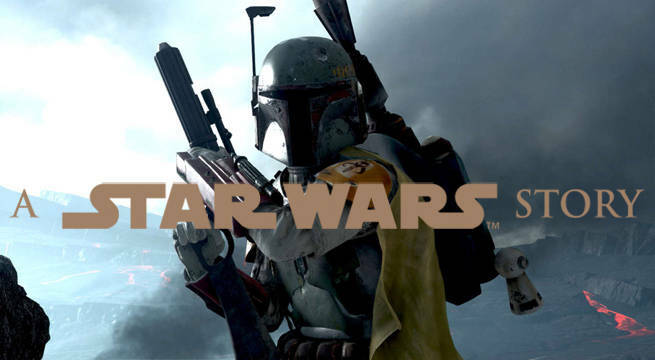 The film in question would have been the oft-rumored Boba Fett film, according to a report from EW buried in a feature about the upcoming films that are getting made in the standalone category. Originally, Trank was going to be brought up on stage for the Future Filmmakers panel at Star Wars Celebration Anaheim in 2015. In fact, as reporters and fans came into the large panel room (Comicbook.com amongst them), Trank's name was still on the giant image, advertised as coming alongside Gareth Edwards, director of Rogue One: A Star Wars Story, so his pulling out of the project was extremely last minute, only just before they were going to officially reveal it. He reportedly left the project after the negative experience of Fantastic Four with Fox, which the director publicly derided on social media. 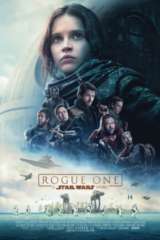 At that panel, a short teaser made by ILM was shown for Rogue One despite not a second of footage having been shot yet for the film, based solely on the prospect of Rebel radio chatter and the Death Star being revealed in the distant horizon of a planet. According to the report, a similar teaser had been developed for the Boba Fett film. Comicbook.com's own sources corroborated that report. There were also rumors the film was going to include more than just Boba Fett, with other bounty hunters entirely new to the project and from Star Wars: The Clone Wars in consideration for it. So does this mean the Boba Fett: Star Wars Story movie is completely dead? Not necessarily, but for now, Lucasfilm is not considering it on their schedule at all. The only Star Wars movies Lucasfilm acknowledges as in any stage of development are 2016's Rogue One, 2017's Episode VIII, 2018's Han Solo: Star Wars Story film, and 2019's Star Wars: Episode IX. All of those upcoming films have writer and director teams already assigned to them, and have even acknowledged casting. There's always the possibility that the Boba Fett film could find its way onto 2020's schedule or beyond, or that the popular Mandalorian-armored Bounty Hunter (or his compatriots) could make his way into the Han Solo film. After all, the two have a past, and showing it could make for a very crowd-pleasing scene in that movie. For now, though, it's on the pile of what might have been, relegated to the "What if?" history. MORE STAR WARS NEWS:Star Wars Standalone Films Were a George Lucas Idea | Disney CEO Bob Iger told JJ Abrams The Force Awakens Was a $4 Billion Movie |Han Solo Star Wars Story Film Will Have Heist or Western Feel Says Lucasfilm President | Rogue One TV Spots Feature New Footage | Will Darth Vader Use His Lightsaber in Rogue One?| Does Jyn Erso Have a Major Star Wars Artifact in Rogue One?